Juniper plans to disaggregate its Junos switch OS from the new QFX5200 switches. The QFX5200 line will be the first from Juniper that lets customers choose to run Junos or a third-party network OS. Junos will also run on non-Juniper hardware. Juniper hasn’t yet announced third-party partners. Extreme Networks is rolling out new 802.11ac Wave 2 APs. Wave 2 enables greater throughput than Wave 1, and incorporates additional enhancements such as MU-MIMO. 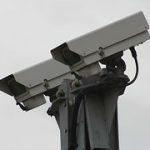 Startup Niara applies machine learning to security logs and network packets and flows to find anomalous behavior that may indicate malicious activity. The startup NS1 offers a managed DNS service to accelerate the delivery of Web and mobile content for its customers. 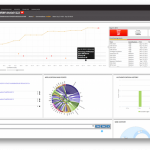 It collects network and system telemetry to make intelligent routing decisions. Dell sees the PC is part of a comprehensive strategy to serve customers from the end point all the way through to data center infrastructure. I’ve got a lot of questions about the Dell/EMC merger. I plan to ask them at DellWorld, and I hope to get good answers. 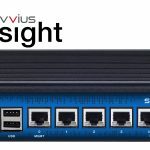 Savvius has launched a new monitoring appliance, Insight, that integrates with Splunk and can capture packets for forensic analysis. 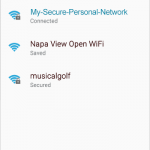 Xirrus is launching a new security feature to encrypt wireless connections between a device and an AP on a public Wi-Fi network. While it’s easy to use, it does have limitations. Datiphy monitors database transactions to look for potentially malicious behavior. It builds a baseline of normal activity, and alerts if it detects deviations. Brocade has launched version 2.0 of its SDN Controller, a commercial distribution of OpenDaylight, the open source project. The company also announced two applications for topology visualization and managing flows. Big Switch takes an innovative approach to pricing a hardware/software SDN product that cuts the customer’s capital expenditure in half and takes advantage of usage-based billing. Incumbents and startups alike are rushing into the SD-WAN market. So how much of an opportunity is there? So far, the data points aren’t very good. And maybe they don’t matter anyway.